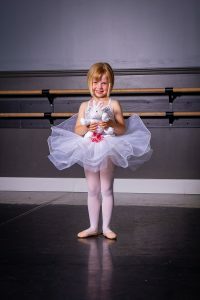 At Star Bound Dance Company we believe in fostering a true love of dance from the very beginning. Whether a child is looking to have fun, get fit, and make friends or create a path to professional level dancing; we have programs to help make their dance dreams come true! Are you interested in registering for our 2019-2020 Fall Session or Full Year Programs? We accept registration by email or you can also come in during designated registration dates and meet our amazing staff in person! You can find the dates we’re open for in person registrations below, or you can contact us through the online form any time. Recreational Programs are generally for first time dancers in our studio, however, we do run programs that can advance from youth to teenage years while still remaining recreational. Generally these classes are once a week and are performance oriented. Students learn dance and prepare during the season to perform in our Year End Recital Showcase which takes place in June. Recreational Session classes are strictly geared towards first time dancers and occur in 6, 8, or 10 week programs. They introduce students to our studio, our staff, and our teaching philosophies. They are low commitment, super fun, and help students understand if dance is something they might be interested in doing more long term. These students do not have a performance, however, at the end of every session we have a parent watching week and photo day. Listed below is the schedule for the 2019-2020 Recreational Full Season Program as well as our first session classes starting in the fall. You can also click on the links for the specific registration forms for these programs. Examination and competitive choreography programs are by recommendation of the SBDC faculty only. Students wishing to join our examination or competitive programs must be recommended, audition with an SBDC staff member or have proof of examination level via a certificate for ADAPT Jazz or Tap, RAD Ballet, or Acrobatic Arts. 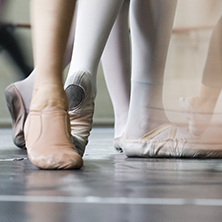 Starting at Junior 2 Jazz or Tap, Level 3 Acro and/or for Lyrical or Contemporary classes, Ballet Technique is required. For Junior Level Hip Hop or Musical Theatre, Jazz Technique is required. Once students are a Junior 3 Jazz Level or Grade 3 Ballet Level, Choreography for competition is no longer included in the technical weekly class and students must sign up for an additional choreography class by recommendation.